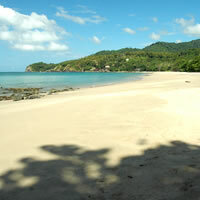 Last Beach or Bamboo Bay Beach, Koh or Ko Lanta island, Krabi. 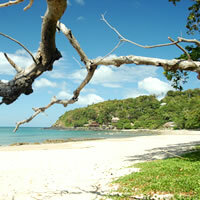 Last Beach or Bamboo Bay - Ko Lanta (Island) - Krabi - Thailand. 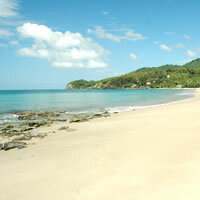 Last Beach or Bamboo Bay is the last beach on east side before the national park area begins. 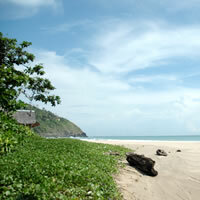 It is a slightly curved beach around five hundred meters long, with lovely white sands and clear waters. 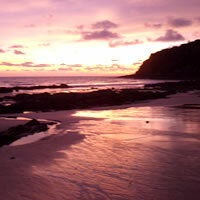 Swimming is suitable here when the tide is not too deep. 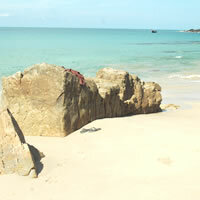 The northern part of this beach has rock pools where it's possible to snorkel and watch the fish. It is surrounded the high national park mountains. 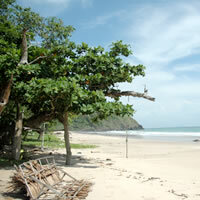 This beach is extremely private, and feels cast away from the outside world. 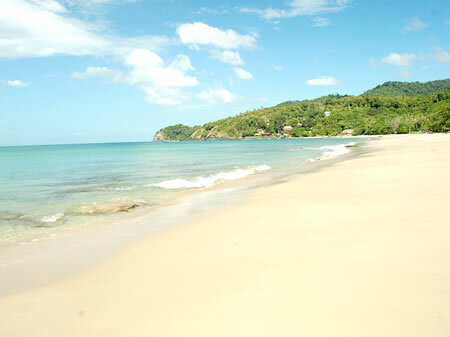 Bamboo Bay contains a handful of basic resorts, spread along the beach. 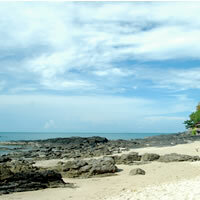 Kan Tieng Beach, Klong Jark Beach, Last Beach's Hotel & Resort list.